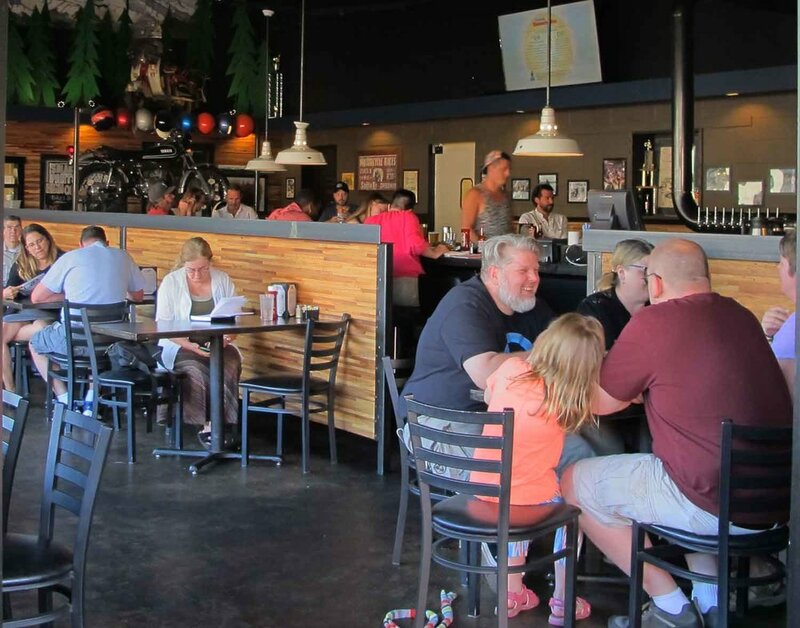 Located in Burien, Smarty Pants Garage is a purveyor of fine American food and great drinks. Burien we heard your call and Smarty Pants Garage couldn’t be more proud to be the newest dining option in the South End! We are committed to providing a relaxed, casual atmosphere with great food and awesome libations. Whether you want to take the family out for dinner, meet up with some friends for an after work drink or have an awesome weekend brunch with your significant other - we’re here for you! Hungry? Enjoy one of our signature sandwiches, hamburgers or salads. We also have a variety of tempting appetizers available. Thirsty? 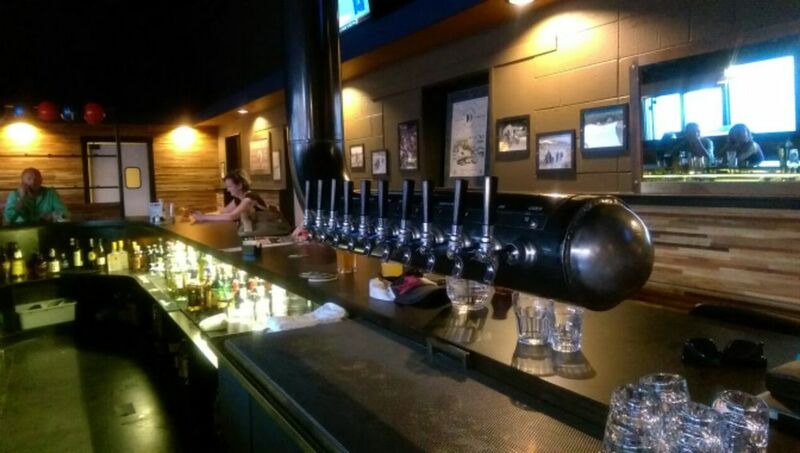 We have ten taps and a full bar. Choose one of your favorite beers, ciders or cocktails and let let the day unwind. 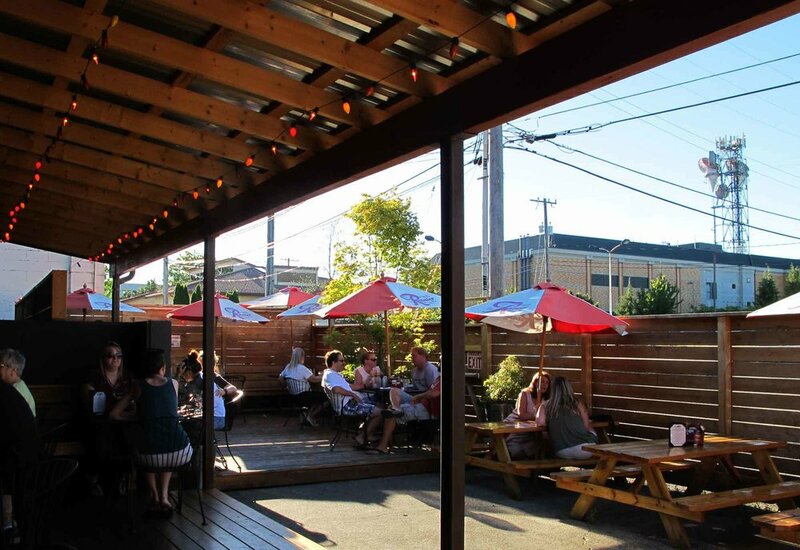 Relax and watch the game on one of our big screen TVs or enjoy the weather outside out on our spacious patio. 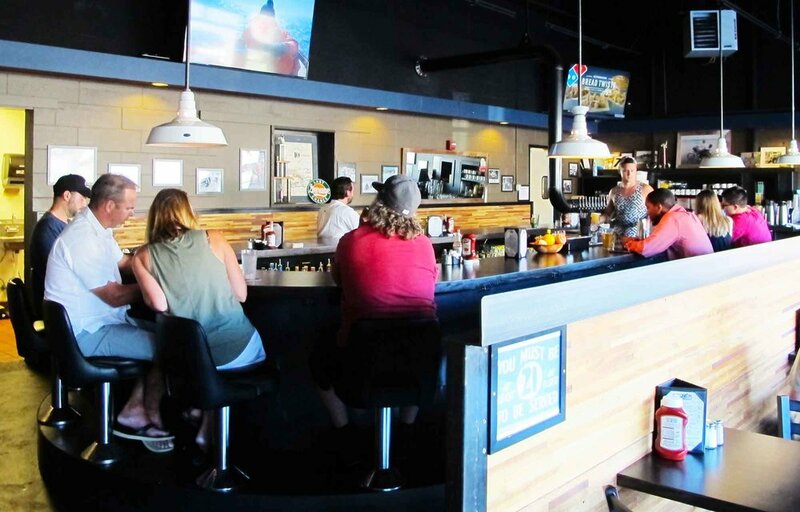 Smarty Pants Garage is our third restaurant joining the team with the original Smarty Pants in Georgetown on Airport Way and Hudson on Marginal Way. The theme that unites them all is having a good time. So come on over, you’re going to love it! Happy hour tacos. Carne asada, house made salsa verde, onions and cilantro on corn tortillas. So simple but so good! Christmas Eve: Close early at 4pm. New Year's Eve: Regular Hours. New Year’s Day: Brunch 10am to 3pm. Close at 3pm. *We Do Not Accept PostMate Orders. + All sandwiches come with a pickle and your choice of scratch made potato salad, fresh fried chips and salsa, fresh NEVER Frozen hand cut french fries, or zesty cole slaw. Sub green salad 2, soup 2.50 or chili 2.75. + Gluten free? No problem, sub a gluten free wrap for 2 bucks. Marinated and slow roasted chicken breast shredded and topped with provolone, giardiniera, lettuce, and mayo. Served on a french roll. Sliced chicken breast grilled with onion, Monterey Jack cheese, and bacon. Served on a toasted french roll then topped with lettuce, tomato and Trouble sauce. Slow roasted succulent pork and grilled onions topped with slaw, Monterey Jack cheese, and our BBQ sauce. Served on a toasted french roll. Thinly sliced, perfectly seasoned house-roasted beef served on a french roll and topped with sweet peppers, giardiniera, and juice. With turkey, corned beef or Field Roast. A classic Reuben with your choice of meat sliced thin, topped with kraut, swiss cheese, and our classic sauce. Grilled to perfection on marble rye. Grilled turkey with our own avocado spread, Monterey jack cheese, lettuce, tomato, onion, and mayo. Served on a toasted french roll. A generous portion of coppa, genoa salami, ham, and provolone cheese topped with lettuce, oil & vin, oregano, mayo, and giardiniera. Served on a toasted french roll. Rich house roasted beef or chicken breast grilled with onions, green peppers, and swiss cheese. Served on a toasted french roll with our horseradish sauce. Lean ham grilled with swiss cheese. Served on a toasted french roll then topped with lettuce, tomato, mayo, and onion. Turkey, bacon, lettuce, tomato, and cheddar piled high on three slices of toasted sourdough with mayo and avocado spread. Savory ham, smoked bacon, and swiss cheese topped with a tangy vinaigrette, lettuce, tomato, and pepperoncini. Served on a toasted french roll with mayo. A toasted french roll envelopes all your favorite veggies! Served with lettuce, tomato, avocado spread, onion, cucumber, Monterey jack cheese, and hummus. Thinly sliced turkey breast grilled with swiss cheese. Served on a toasted french roll with lettuce, onion, tomato, and mayo. Our succulent slow-roasted pork topped with fresh lime juice, lettuce, and tomato. Put to bed on a grilled french roll with mayo. Our SPG burger is an 8oz hand formed patty topped with grilled onions, cheddar cheese, lettuce, tomato and Trouble Sauce. Our homemade tuna salad with hard boiled egg, green onion, and mayo topped with cheddar cheese and tomato and grilled to perfection on sourdough. An American classic. Bacon, lettuce, and tomato topped with a sliced hard boiled egg. Served on toasted sourdough with mayo. + Note: * Consuming raw or undercooked meats, poultry or eggs may increase your risk of food-borne illnesses. Fresh homemade hummus, toasted pita bread, cucumber, tomato, pepperoncini and red onion. A healthy portion of corn chips topped with our cheese sauce, black olives, sour cream, jalapeños, salsa and avocado spread. A slider of Troublemaker, Chickenhawk, Ms. Piggy, Gringa, Veggie Sub or Grilled Cheese with a side of your choice. + DRESSINGS: Blue Cheese, 1000 Island, Italian, Loco, Caesar, Ranch, Tiptop, Go Juice. + Quinoa Bowls are Gluten free. + For an extra buck, roll up your salad as a wrap! Mixed greens, black olives, tomato, green onion, cheddar cheese, sour cream, avocado spread, salsa, tortilla strips and our Loco dressing. Mixed greens with red cabbage, carrot, tomato, cucumber, and croutons. Tossed in the dressing of your choice. Mixed greens, red cabbage, carrot, tomato, croutons, and macaroni tossed in your choice of dressing. Topped with swiss and cheddar cheese, hard boiled egg and your choice of grilled chicken or roast beef. A mix of green leaf and romaine tossed with parmesan cheese, grilled chicken, garlic croutons and our zesty Caesar dressing. Two eggs any style with hash browns and toast. Two pancakes, two eggs, and two strips of bacon. Savory house-cured and roasted corned beef with garlic, onion, peppers, potatoes, and two eggs. Served with toast. Two homemade buttermilk biscuits topped with our scratch made sausage gravy of your choice and two eggs. Grilled chicken with onions, bacon, and jack cheese on a bed of scrambled eggs. Served with a side of hash browns and Trouble… sauce that is! Two eggs any style, carne asada, homemade salsa verde, and corn tortillas topped with sour cream, red onion, and queso fresco. Scrambled eggs, chorizo or Field Roast Mexican Chipotle sausage, cheddar, sour cream, and avocado rolled into a flour tortilla and topped with homemade salsa verde. Served with hash browns. Yukon Gold potatoes, apples, onion, garlic, and cheddar cheese. Add bacon 2.50, chorizo 3.50, veggie sausage 3.00, or an egg 2.00. Split English muffin topped with ham, poached eggs, and hollandaise. Served with hash browns. Make it Eggs Florentine with fresh spinach and tomato for the same price. Split English muffin topped with avocado, queso fresco, poached eggs, and our house roasted poblano pepper sauce. Served with hash browns. Grilled carne asada and scrambled eggs fill two flour tortillas and get finished off with homemade fire roasted tomato salsa, queso fresco, and avocado. Served with hash browns. Three eggs, sausage, spinach, onion, mushroom, tomato, and parmesan cheese. Served with hash browns and toast. Three eggs, slow roasted pork, and cheddar cheese topped with sour cream and crispy onions. Served with hash browns and toast. Three eggs, ham, cheddar cheese, onions, and red and green peppers. Served with hash browns and toast. + * Consuming raw or undercooked meats, poultry or eggs may increase your risk of food borne illnesses. + Brunch Sandwiches are served with potato salad, fries, or hash browns. + Sub a green salad 2.00. Sub vegetarian Field Roast on any sandwich. + Gluten free? No problem, sub a gluten free wrap for 2.00. Grilled turkey, ham, and swiss on french toast with a fried egg. Scrambled eggs topped with cheddar cheese, tomato, red onion, and Troublemaker sauce on a toasted french roll. Add bacon or ham for 3.00. Our burger is a hand formed half pound patty topped with grilled onions, your choice of cheese, lettuce, and tomato. Ask for it with Trouble sauce for an extra kick! Add bacon 2.00, giardiniera 1.00, or an egg 2.00. Sliced chicken breast grilled with onion, Monterey Jack, and bacon served on a french roll and topped with lettuce, tomato, and Trouble sauce. A classic Reuben served with corned beef, turkey, or Field Roast and topped with sauerkraut, swiss cheese, and our classic sauce. Grilled to perfection on marble rye. An American classic. Bacon, lettuce, and tomato with hard-boiled egg served on toasted sourdough with mayo. Rich roast beef or chicken breast grilled with onions, peppers, and swiss cheese. Served on a toasted french roll with our horseradish sauce. Slow roasted succulent pork and grilled onions topped with coleslaw, Monterey Jack cheese, and BBQ sauce. Served on a toasted french roll. Marinated and slow roasted chicken breast shredded and topped with provolone, giardiniera, lettuce, and mayo. Served on a toasted french roll. Grilled turkey with our avocado spread, Monterey Jack cheese, lettuce, tomato, onion, and mayo. Served on a toasted french roll. Three dollar-sized versions of our buttermilk pancakes. A homemade buttermilk biscuit topped with scratch made sausage or mushroom gravy. Served with hash browns. Scrambled eggs, bacon, and cheddar cheese in a flour tortilla. Served with hash browns. Our own homemade mix with fresh muddled citrus and Crater Lake Pepper vodka. Served with a Rainier buddy. Prosecco and crème de cassis with a twist. Our own homemade mix with fresh muddled citrus and house-infused serrano pepper tequila. Served with a Rainier buddy. The name says it all… Rainier and orange juice! Jameson, fresh brewed coffee, whipped cream, and a spoon full of love. Prosecco, absinthe, and orange juice. Wheat, Rye, English Muffin, Sourdough, or Biscuit. Hand Breaded in house, deep fried. Served with your choice of one sauce: BBQ, ranch, blue cheese, honey mustard, or trouble sauce. Cheese fries covered in Chicago beef and Giardiniera. Troublemaker, Ms. Piggy, Chickenhawk, Falcone, or Veggie sub sliders (choose 3). Add chicken, pork or carne asada for 2.00. Corn chips baked with Monterey Jack and cheddar cheese, black olives, sour cream, jalapeños, salsa and avocado spread. Add chicken, pork or carne asada for 2.50. Hendricks gin, Lillet Blanc, Aperol, lemon twist. Old Forester Bourbon, Ancho Reyes chili liqueur, honey, served on a large ice cube. Monkey Shoulder scotch, sweet vermouth, Gran Gala orange liqueur and bitters. Wild Roots pear vodka, house ginger peppercorn syrup, and fresh lemon. Milagro Silver tequila, Ancho Reyes Chile Verde Liqueur, fresh lime, and agave nectar. Tequila, Solerno Blood Orange liqueur, honey, lime, orange and firewater bitters. Reyka vodka, lime juice, ginger beer and a float of ginger liqueur. Slane Irish Whiskey(served neat or on large ice cube) and a Cascadia Dry Cider. Served side by side. Muddled lemon, vodka, and soda. Make it a Joel (Double) for 5.00 more. TENDER MARINATED CHICKEN BREAST WITH BACON, MONTEREY JACK AND RANCH. SERVED WITH YOUR CHOICE OF HAND CUT FRIES, CHIPS & SALSA, OR COLESLAW. LEAN TURKEY WITH SWISS CHEESE, GRAIN MUSTARD, MAYO AND TOMATO ON FRENCH. SERVED WITH CHOICE OF HAND CUT FRIES, CHIPS & SALSA, OR COLESLAW. BUTTERMILK SOAKED AND HAND BREADED. SERVED WITH MASHERS, GRAVY AND VEGGIES. SIRLOIN STEAK, MUSHROOMS AND ONIONS SAUTEED AND FINISHED WITH A RED WINE CREAM SAUCE OVER EGG NOODLES AND TOPPED WITH SOUR CREAM AND GREEN ONION. SERVED WITH GARLIC BREAD. The original Smarty Pants is located in Georgetown at 6017 Airport Way S. 21+ only - no kids. Hang out with us on Wednesday night for weekly "Bike Night" featuring Moto GP and FIM World Superbike racing, with PBR and taco specials. A large outdoor patio is offered where you can relax with planes booming into Boeing Field up above. Hudson is the sister location, between the 1st Ave S bridge and the West Seattle Bridge. Address is 5000 E. Marginal Way S. Hudson is also 21+ only with a large outdoor patio. Breakfast is offered during the week as well as our popular brunch on the weekends. Steaks, Po-Boys, Chicken Fried Steak, Salads, Patty Melt, Brisket, Shrimp and Cheesy Grits .... the list keeps going! Everything is delicious. We do not take reservations. First come, First Served. Kids are welcome in Burien. Georgetown location is 21+ only.